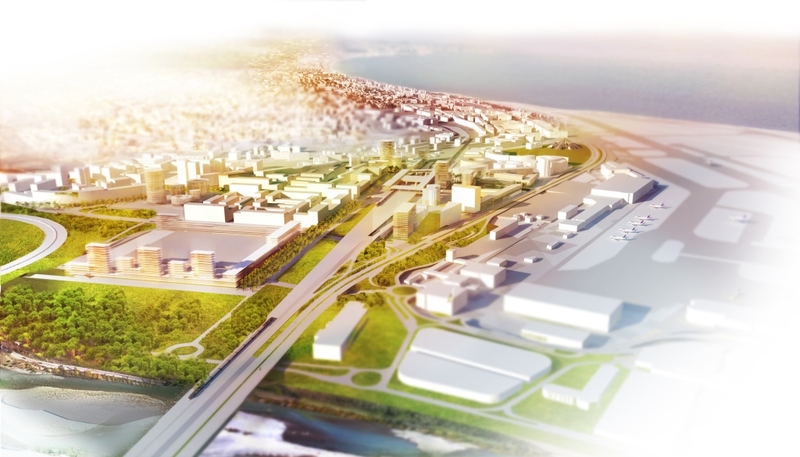 As the Mediterranean gateway to the Eco-Vallée, the Grand Arénas will be one of the largest international business centers in Southern Europe. 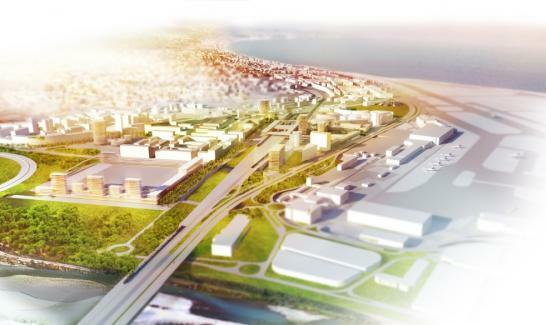 With its unique location, spread over 51 hectares at the heart of the metropolitan area, close to the current 10 hectare Arénas district and just minutes from the Nice Côte d’Azur airport and it’s105 direct destinations, this new district is set to become a hotspot for decision centers. Figuring among the Eco-Vallée’s top projects, it will include offices, housing, shops, hotels and local services. 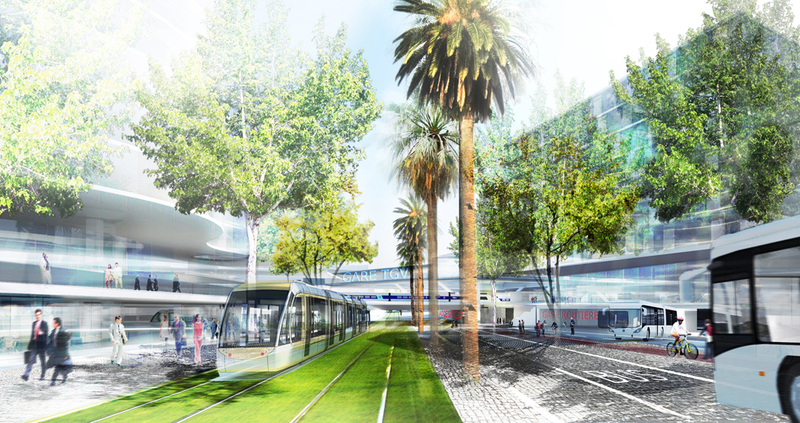 Its urban planning is to be based on the principals of intelligent urbanism and will serve to highlight the Eco-Cité Nice Côte d’Azur commitment in this matter. 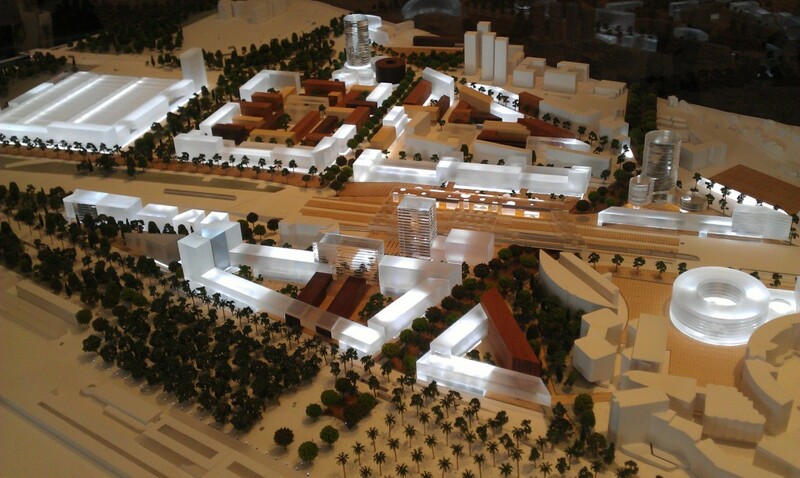 The renowned Spanish urban architect Josep Lluis Mateo has been appointed to design and supervise the project. He is leading a multidisciplinary team in charge of handling public works, and assisting private architects and promoters for the different real estate programs. One of the key challenges is to bring a sense of unity to this district which has major roadways running through it, and to enable the growth of a homogenous urban fabric throughout its full perimeter. 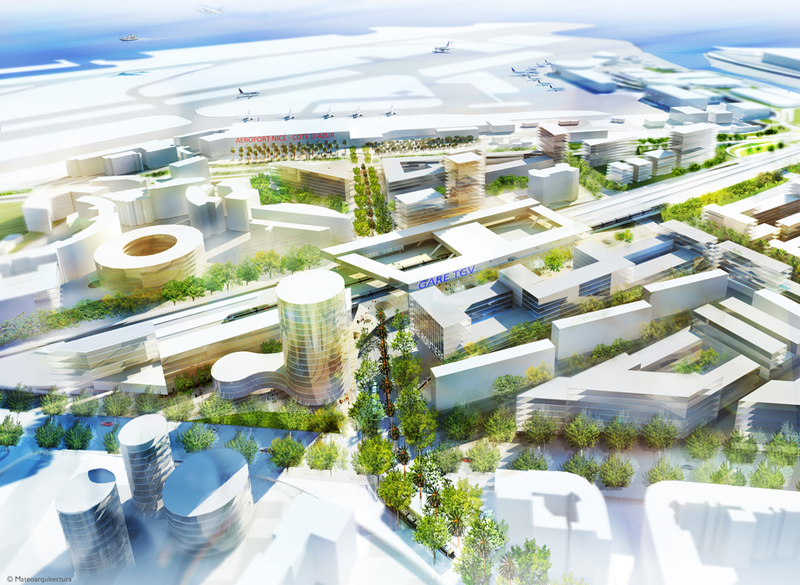 The Nice-Saint-Augustin-Airoport multimodal transport hub, which will enable easy access throughout the area. The exhibition park, which, by its scope and flexible design, will attract a range of large scale, international events. 1 350 dwellings (20 % for social rentals, 30 % for assisted investments, and 50 % for private investments). 2030 : Finalizing of the Grand Arénas.